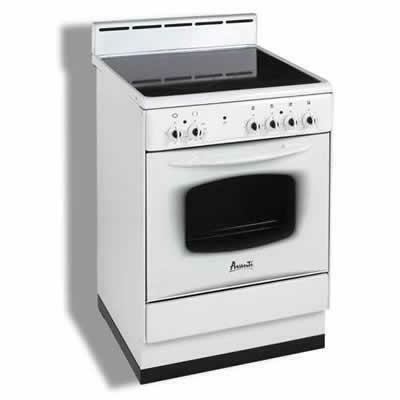 Avanti Elite 24" freestanding electric range features 4 elements, oven window, oven light and storage drawer. Capacity (cu. ft.) 2.6 cu.ft.